Robert A. Johnstone was born on 19 September 1827 in Indiana County, Pennsylvania. Robert Johnston and Jane Huston appeared in the US federal census of 1 June 1830 in Green Township, Indiana County, Pennsylvania. Other (counted but unnamed) members of the household apparently included Robert A. Johnstone, Samuel H. Johnston. Samuel H. Johnston appeared in the US federal census of 1 June 1840 in Green Township, Indiana County, Pennsylvania. Other (counted but unnamed) members of the household apparently included Robert A. Johnstone. Enumerated as the household of "Saml Johnson," and apparently including their two sisters and mother's sister Mary Huston. Samuel H. Johnston appeared in the US federal census of 1 June 1850 in Green Township, Indiana County, Pennsylvania. Other members of the household included Robert A. Johnstone. Also in the household were Samuel's wife Sabina and sons John and William, and apparently their sisters Mary (age 30) and Elizabeth (23), and also Mary Huston (63), likely an unmarried sister of their mother Jane Huston. He was a surgeon dentist, according to the 1850 census. A photographic portrait was made of Robert A. Johnstone as a young man, likely while a student. According to family lore, he graduated in 1851 from the University of Virginia, and studied dental surgery at [Washington Medical?] College of Baltimore. He married Cornelia Anne Elizabeth LeGrand, daughter of William Chambers LeGrand and Jane Green Paul, on 16 July 1857 in Macon County, Alabama, with James L. Cotton, MG, officiating. Robert A. Johnstone and Cornelia Anne Elizabeth LeGrand appeared in the US federal census of 1 June 1860 in Selma, Dallas County, Alabama. Other members of the household included Hampden LeGrand Johnstone. He was a dentist, according to the 1860 census. Sometime after the Civil War, he settled on spelling his surname "Johnstone." Robert A. Johnstone and Cornelia Anne Elizabeth LeGrand appeared in the US federal census of 1 June 1870 in Huntsville, Madison County, Alabama. Other members of the household included Hampden LeGrand Johnstone, Helen Parker Johnstone and Robert LeGrand Johnstone. Also in the household were cook Eliza Kop (age 21) and nurse Mary Kop (14). 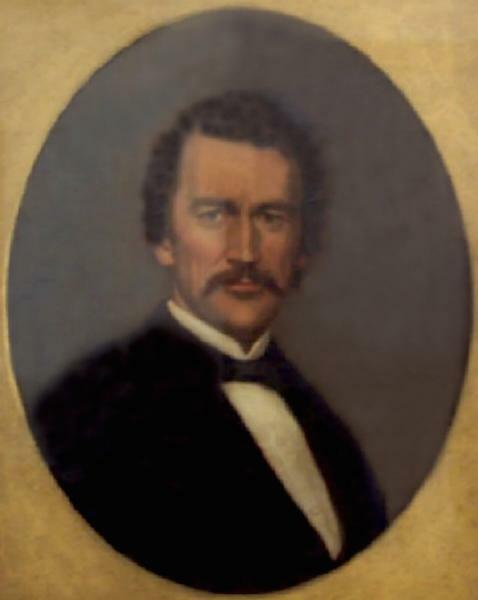 Robert A. Johnstone died circa 1876 in New York while on a trip in upstate New York. His wife Cornelia Anne Elizabeth LeGrand became a widow at his death. He was interred at Rosedale Cemetery, Orange, Essex County, New Jersey.